We worry a lot about how much kids these days let their time pass by playing a game, posting on instagram, texting, or watching a video on YouTube. We fear that our children may turn into addicts, as they get used to instant gratification while in front of these devices. We are afraid that our young may drop other activities that are good for their social, emotional and physical growth as they start spending every waking hour on social media. Yet, we lose sight of our own addiction to our smart phones. And it is ironic that the technology that is supposed to keep us connected takes us away from those who are actually physically around us. We, as parents, have actually allowed our smartphones to impair our social connection with some of the most important people in our lives. A study recently published in the Journal of Social and Personal Relationships shows that parents who use their smartphones while they are with their children feel less meaningful connections with their kids. 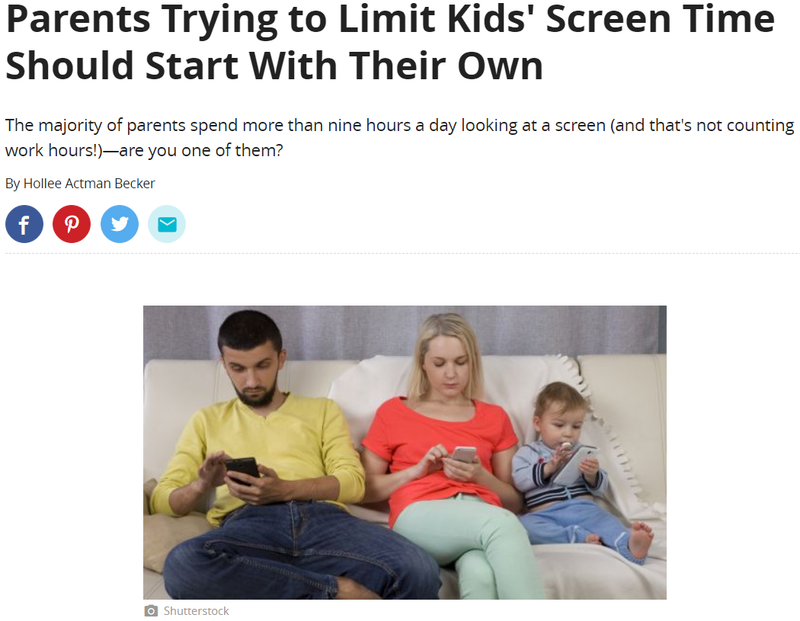 Parents of American tweens (age 8–12) and teens (age 13–18) average more than nine hours (9:22) with screen media each day, with 82 percent of that time devoted to personal screen media (7:43). What is more disconcerting is that screen use among parents increases with lower household income. And when it comes to race, both African Americans and Hispanics average more hours in front of the screen than Whites do. This is not helping as academic gaps in the US persist with both income and race. There are, of course, benefits from today's technology. Parents can resort to their smart phones at times when baby sitting has become a drudgery. Our children's use of these devices are often seen as helpful in learning. After all, there is a ton of information available out there on the internet. Yet, we cannot neglect cultivating meaningful relationships with our children. "These findings are fascinating because parents are using media for entertainment just as much as their kids, yet they express concerns about their kids' media use while also believing that they are good role models for their kids. Media can add a lot of value to relationships, education, and development, and parents clearly see the benefits, but if they are concerned about too much media in their kids' lives, it might be time to reassess their own behavior so that they can truly set the example they want for their kids."